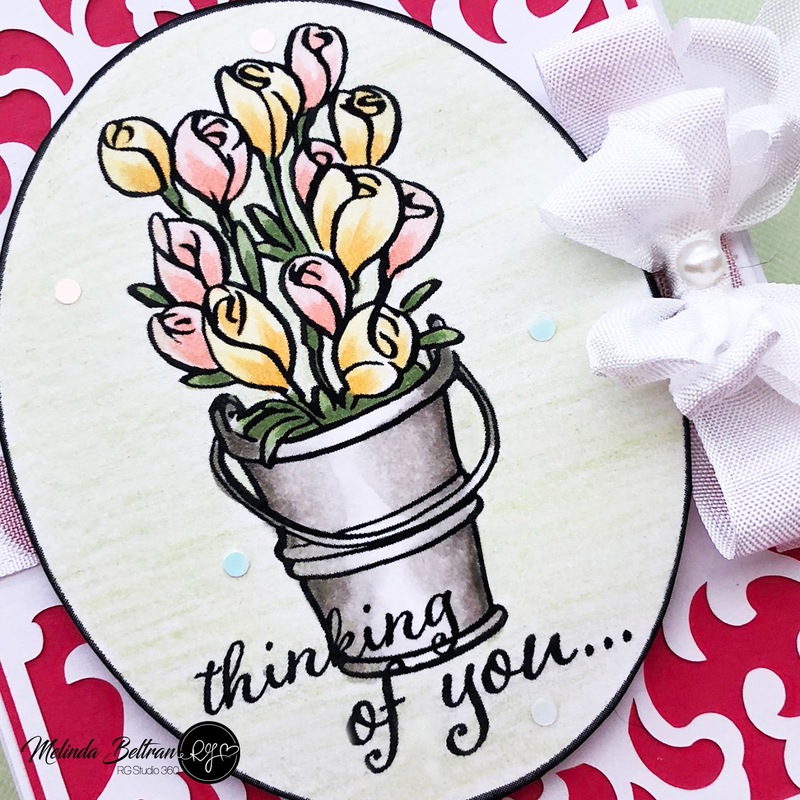 Today I am sharing my final card featuring the new RGStudio360.com Spring Thoughts stamp set. Here is my card. 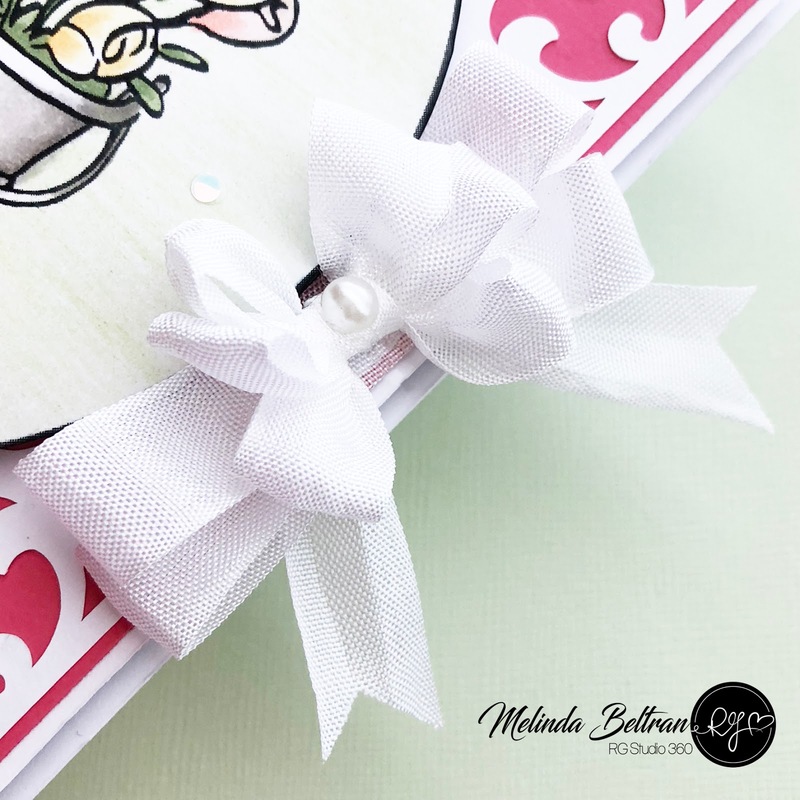 My finished card size is an A2 Top folding card with a base of Powdered Sugar Stock. I then added an additional mat of Powdered Sugar Stock and then a mat of Tangy Berry Sugar Stock. I then created my die cut mat and cut it out with my Cricut Maker. I stamped my image and then proceeded to color it with my various Copic markers. I added some soft color to the background with one of my colored pencils. I put that onto a thin black mat and stamped the sentiment. You can also see here that I added a few tiny solid sequins for a little extra flair. Here’s a closer look at the sentiment. You can also see the detail on the decorative SVG file that I created. It pops nicely against the Tangy Berry mat. I finished up my card by adding a fluffy bow from some seam binding. I have been sharing cards all week featuring these new stamp sets from the recent bundle release from RGStudio360.com. Tomorrow I will post a video review of them and have a special! Until then, you have a wonderfully crafty day!